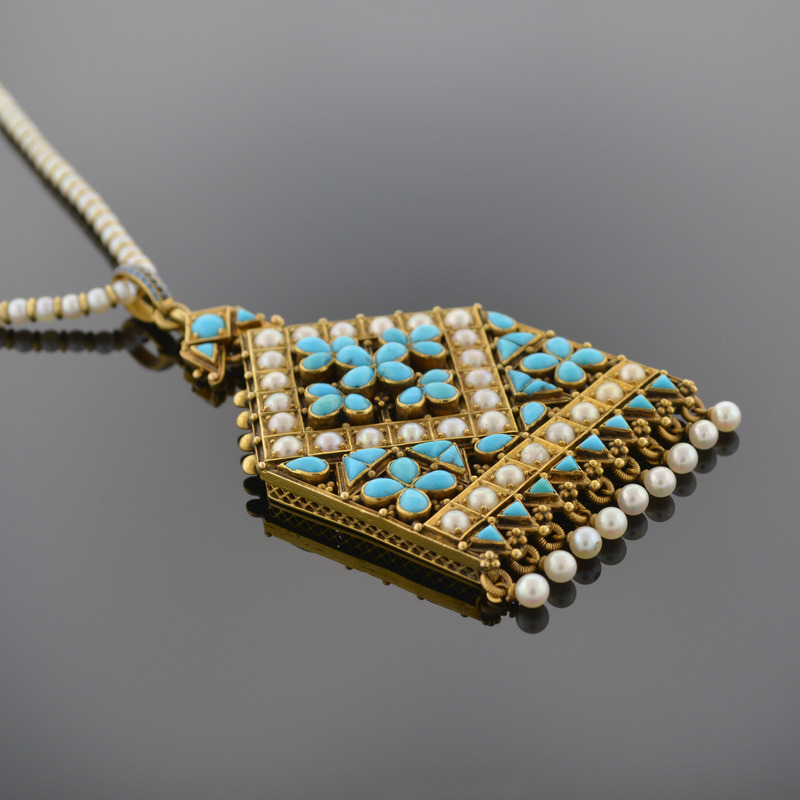 Fine tear-drop Persian turquoise sections join to form both Tres Foil and Quatrefoil flowers in the center of this architecturally designed pendant. These petals are bordered by a square of natural pearls. This piece is further accented by a row of nine pearl dangles. This pendant is suspended by a strand of pearls, each spaced by a gold ring.